What kind of HOA do we want SCA to be? 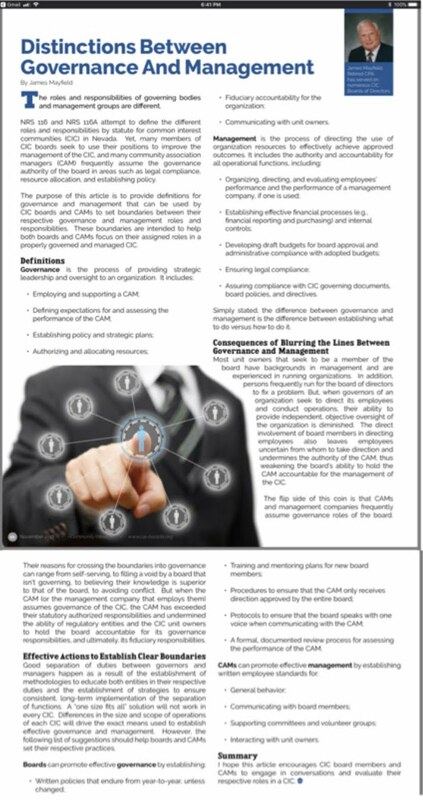 Taking a cue from Jim Mayfield’s article “Distinctions between Governance and Management” re-published below, here are a few action items. In italics: how I see things are currently being done around here. Encourage owners to run for the Board who are willing to contribute to creating more transparent, competent and accountable governance, or volunteer to serve yourself. There is a battle for control of the Board between those who want a fair and open system created that’s good for all owners vs. those in power who want to keep centralized control by excluding anyone who has complained about this GM or who signed a recall petition. Utilize the expertise of residents on a Personnel Committee to protect SCA against employer liability, to propose GM performance standards using customer ratings and objective measures to prevent excessive executive compensation. These functions currently are done, if at all, by 1-2 Board members who don’t have the requisite skills, and the Board and GM have acted unlawfully to block necessary owner oversight. Require the GM to utilize an inclusive process and resident expertise to recommend goals and strategic plans to bring SCA back to be #1 Active Adult Community in USA. SCA had this #1 rating in 2011, but has slipped, and we currently have no adopted goals or shared vision about how to get SCA back on top. Instead, the Board abdicates to a GM who has not evidenced any strategic approach to lessening owner dissatisfactions or community divisions. Demand that governance be completely transparent to owners. Right now, the Board pays lip service to improving owner communications, but allows the GM to use the attorney to conceal SCA records for reasons other than serving the best interests of the association. This secrecy allows SCA owners to be put at risk of being bilked by SCA agents, and it inhibits the SCA Board from being held fully accountable for its duty of care to owners. Get control of the budget out of the hands of the GM. Although the law prohibits the Board from delegating policy decisions about the budget and prohibits the GM from expending funds for unbudgeted purposes, the blurring of the lines of authority regularly occurs, and owners just have to pay the bill. punishing owners or individual Board members who complained. “Two and a half years ago, the Board was offered a clear choice between two forms of governance. One form was the legal model embedded in NRS 116 and approved by CAI. This form is based upon a model in which all elected Board members are considered equals and participate in a transparent, collaborative relationship, and the President (CEO) is directed by the Board and speaks only for the Board. It also establishes the major responsibility is to protect homeowner rights and to establish processes for oversight of management. This is the model described in the above article that was published in November. The second form is a dictatorship that empowers the President (CEO) to exercise dictatorial powers, makes decisions, imposes his/her decisions on the Board (the Board reports to the President). This model sees its primary responsibility to represent and protect management from the homeowners. The model also expands the ability of the President, Board, and GM to operate in secret meetings and to empower its attorneys to use legal process to accomplish its objectives and those of the GM. Author nonatobinPosted on January 4, 2018 January 5, 2018 Categories Agents' wrongdoing, BOD, Community division, GM, Governance, Take Action3 Comments on What kind of HOA do we want SCA to be? What’s up with the Ombudsman? Several people have told me that their NRED complaints of GM election interference were summarily rejected without satisfactory investigation or explanation. They feel the rejections were unfair as the complaints were rejected for reasons unrelated to the substance of the issue raised. For example, they reported that NRED did not independently verify the accuracy of the allegation that two pages of valid petition signatures were not counted which caused Bob Burch to be wrongly left off the recall ballot. I was told that NRED’s rationale for the rejection was the unrelated reason that the Ombudsman had validated the vote counting process for the other three directors who were on the ballot. We have to educate the NRED investigators on the specifics of the violations alleged in SCA owners’ complaints so investigators can understand the complaints within the context of needed homeowner protections. We must not get overly discouraged even if it appears there is “zero enforcement” rather than “zero tolerance”. As we’ve seen nationally with response to sexual harassment complaints, that can change in a heartbeat. NRED has all the problems faced by other enforcement agencies, like you’ll see below were exhibited by the SEC, – an inability to see the forest for the trees. Even if there is no corruption in NRED, they have limited authority, limited funding, and have to balance competing interests between monied stakeholders (attorneys, management companies, debt collectors, etc.) and the people who are supposed to be served (homeowners). NRED’s problems are compounded in Nevada by historic complicity in HOA corruption by attorneys and judges and the fear people have to speak up and be whistleblowers. But, just as Rana Goodman helped to expose how guardianship abuses depended on complicity between attorneys and judges and unscrupulous public guardians, we have to shine a light on what is happening at SCA because Board/GM misconduct too requires lack of transparency and complicity by legal authorities to be sustained. While I haven’t seen the other owner complaints or the rejection notices they received, this action by NRED raises a red flag for me. So far, I have received no word from NRED about the status of my complaints, but I am not willing to leave NRED’s investigative thoroughness to chance. In light of this disappointing development, I am going to emphasize the way I use this website to expose evidence substantiating my claims. I am doing this primarily so the allegations and supporting evidence are in a usable format to assist the investigators. I believe that will reduce the chance that my complaints will be dismissed without a full investigation and a fair hearing. As far as the chance of influencing the beliefs of the readers of this blog, I have low expectations. I don’t believe people who think I deserved what happened to me will easily change their minds, and when you read below about cognitive dissonance, I think you’ll see why. What happened to me sets a bad precedent for ALL Nevada HOAs. Kicking me off the Board was based on false and defamatory accusations and was simply a continuation of their retaliation against me for speaking out. Such flagrant disregard of homeowners’ right to vote and choose who represents them on the Board absolutely cannot be tolerated or ignored. complained about violations of NRS and SCA governing documents, particularly in the areas of GM/CAM threatening frivolous litigation, abuse of privilege, misuse of attorney, concealing information and recall election interference. If my removal from the Board is upheld, it will set the unhealthy precedent in Nevada that ANY majority of ANY Nevada HOA Board can remove any HOA Board member whose views they don’t like simply by falsely accusing her and then deeming her position vacant. Good-bye, owner control of Nevada HOA. Hello, unjust enrichment by attorneys and other HOA agents. The Securities and Exchange Commission (SEC) let Bernie Madoff’s fake hedge fund grow to over $50 billion over decades despite repeated credible complaints. Let’s hope NRED is more responsive than the SEC was to warnings and does not allow SCA Board, GM and attorney to act unlawfully in ways which allow SCA agents to be unjustly enriched or which allow a majority of a HOA Board to act unfairly for personal political advantage. Probably everyone does. Bernie was the former chairman of the NASDAC securities exchange. He had an impeccable reputation that allowed him to operate a hedge fund that grew over decades to $50 billion by 2008. Although it was a just a low-tech Ponzi scheme, it was successful as an affinity scam among wealthy Jewish communities, Madoff remained untouched by the regulatory Securities Exchange Commission (SEC) for decades. But you probably haven’t heard of Harry Markopolos, the financial analyst who figured out Bernie Madoff’s fraudulent hedge fund at least a decade before Bernie turned himself in. Marcopolis submitted at least five formal written complaints to the SEC which the enforcement agency failed to investigate. Had SEC done its job in 2000 when Markopolos told them Madoff was a fraud, less than $7 Billion would have been lost, and many fewer people would have been victimized. SEC still didn’t listen in 2001 when the fund had doubled. SEC still didn’t listen in 2005 when Markopolos documented 29 red flags on the then-$25 Billion fund. In 2008 as the global economy was in meltdown, and the Madoff fund had ballooned to $50 Billion or more, Bernie turned himself in to spare his family, never having been investigated, much less found guilty, by the SEC. Markopolos’ book is aptly entitled, “Nobody Would Listen: A True Financial Thriller” as the true story of how the regulatory agency SEC was over-lawyered and using lawyers in areas outside their expertise. SEC, therefore, did not have adequately trained investigators who knew diddly squat about financial markets. The SEC failed to act repeatedly on Markopolos’ extremely precise directions on what sources to check or what single phone call to make and what question to ask to verify the accuracy of Markopolos’ analysis. Why didn’t SEC investigate thoroughly? 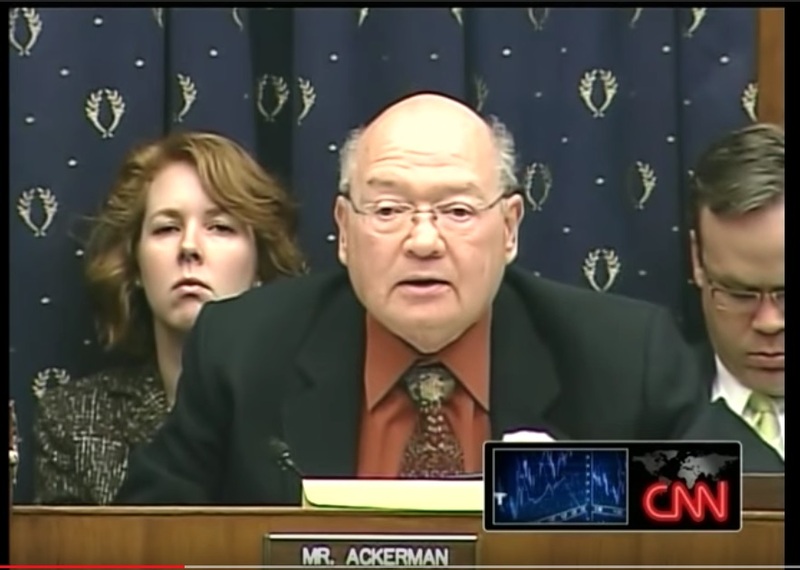 Congressman Gary Ackerman grilled SEC attorneys after Bernie turned himself in to find out why SEC blew off credible complaints for a decade in this interesting CNN clip of the Madoff Congressional hearings. Maybe lawyers were the wrong people were doing the job. Maybe it’s was the financial conflicts of interest regulators had with the industry they were regulating. Maybe the theory of cognitive dissonance explains why nobody could believe that Bernie Madoff was anything other than he appeared to be. Maybe Madoff’s reputation was so stellar and everybody was making money, no one wanted to question how he alone could get such stellar returns year after year. But, whatever the reason, SEC investigators couldn’t see what was right in front of their face. How does all this about Bernie Madoff and the SEC relate to SCA owner complaints being given short shrift by NRED? Remember SEC’s failures and expect to find similar problems with NRED investigations. 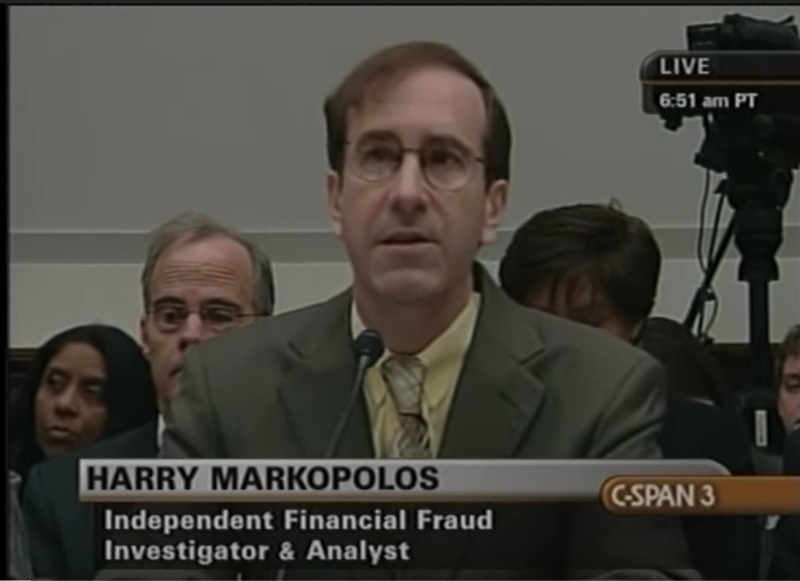 Remember the SEC’s failure to listen to Harry Markopolos for a decade cost victims $50 Billion, and the SEC attorney still tried to weasel out of it, claiming “executive branch privilege“. Remember nobody believed Bernie Madoff was running a scam. If you find yourself not believing what I tell you is happening at SCA is true, it might be simply because it is unimaginable, or it might be because it creates a lot of cognitive dissonance to think I might be right. Remember that, while there are limits on what we can expect enforcement agencies to accomplish, a lot can change if a critical mass of people speak up. We’ve just seen nationally how the pendulum swings when a tipping point is reached. The way sexual harassment complaints are now addressed has gone from zero enforcement to zero tolerance seemingly overnight. A critical mass of SCA homeowners must insist that at SCA, there will be zero tolerance of misconduct by SCA Board members or SCA Agents, and zero tolerance of their harassment of, or retaliation against, whistleblowers. In his President’s report, Rex reported the Release and Settlement of A-14-702071-C. SCA agreed to pay Citi Mortgage $55,000 as full and final settlement of all claims in a case where the homeowner defaulted and so the fight was between SCA and a bank. This is an example of how the Board is very wasteful by not avoiding problems or solving them when they are small. The excessive use of attorneys is a core failing of this Board under Rex. Rex stated that Citi insisted on confidentiality and so he could not comment further. I seriously doubt that because what I’m going to tell you is in the public record. I happen to be familiar with this case from before I went on the Board. I learned nothing about it as a Board member because I was forced to recuse myself from ANY SCA collection matter “so as to prevent even the appearance of impropriety” regardless of whether it had any bearing on my quiet title case whatsoever. In 2014, SCA’s agent RRFS refused to accept Citi ’s tender of the $825 super-priority portion of SCA’s lien for delinquent assessments claiming it was less than the full super-priority amount due. After four years of nonpayment of assessments ($275/quarter x 16 quarters = $4,400), RRFS claimed Citi owed $17,591.81. Citi paid it under protest, and RRFS cancelled the SCA foreclosure sale. Citi filed to get $16,766.81 back from RRFS that the NV Supreme Court said it was unlawful to force Citi to pay more than $825, the amount that has “super-priority” over the bank’s loan. Even though this overcharging was done by SCA’s former agent’s, SCA was on the hook for it since RRFS was acting on SCA’s behalf. I don’t know why SCA even stayed in the fight. Why didn’t they make RRFS pay it and get out of the litigation years ago? Anyway, SCA deposited $5,000 with the court last December toward the $16,766.81 the Court ordered SCA to pay Citi . Then, Citi demanded $51,000+ in attorney fees and court costs. SCA owners are on the hook for $55,000 to settle with a bank over the misdeeds SCA’s former agent in collecting delinquent assessments of less than $5,000. Wouldn’t writing off $3,575 in delinquent assessments have made more sense? Or even better, shouldn’t SCA handle assessment collection in house rather than being on the hook for the wrongdoing of unscrupulous attorneys and debt collectors? Can you see any risk SCA homeowners face by my telling you about all this? Can you see any way I would profit by sharing this information with owners? I guess you can see that the real risk is to the attorney’s profits. That’s why attorney Clarkson (SCA’s current legal counsel and debt collector) insisted that I be forced to recuse myself from all SCA collection issues even if they are not remotely connected to my quiet title action. Cost of collections and fraud by SCA agents are other reasons SCA needs to be (better) self-managed. Here is another reason SCA needed to go to self-management that Tom didn’t mention and probably isn’t even aware of. FSR was actually unfairly profiting from failing to pay SCA asset enhancement fees and new owner set up fees when there was a foreclosure. This happened twice with my late fiance’s house so it’s a better than even bet that this scam was done when other houses were snatched for a few dollars of delinquent assessments. This issue is also connected to a good reason why SCA needs to be self-managed, but also needs to have better control over its agents and managers. The CFO reported that the revenue from Asset Enhancement Fees are $103,268 over budget. SCA gets 1/3 of 1% of the sale price when a home is sold, and other fees associated with home sales are up a similar amount. This is due to an increase in the number of sales reported to SCA which is, in small part, due to SCA’s former agents not crediting SCA with these fees upon sale of foreclosed properties. Title to my late fiance’s house was transferred three times in country property records, and FSR twice failed to record that SCA was paid any of those fees as if two of those three sales never happened. Those two incidences can’t be the only times that SCA was shorted fees due to us. I mention this not just because it’s something nobody else would notice, but SCA’s way of handling collections is flawed and when I offered evidence of it, I was seriously and wrongfully attacked. I reported this problem to Lori Martin and Rex Weddle before I decided to run for the Board and they refused to even talk to me about it, let alone assess the degree of loss to SCA. I included it in my court filings in the quiet title case, and our current attorney (who is also SCA’s debt collector) used it as a bogus justification for kicking me off the Board (putting matters before the Board from which I could make a profit) rather than looking at how SCA was getting ripped off by our agents who are supposed to be fiduciaries. CFO Jim also reported that there are 45 cases in collections with $77,000 outstanding. This is a small amount, a fraction of the nearly $9 million in annual assessment revenue, but it is a completely unsatisfactory level of accounting and reporting to prevent problems. This level of Board control/owner oversight is insufficient to prevent possible mismanagement, theft or fraud by SCA agents. Turning collections over to attorneys when there is only a budgeted projection of having to write off $12,000 in 2018 is a gross waste of money. It is truly fighting fire with Napalm, and then making owners pay for all the collateral damage.